Reading can take you on many adventures! Operation Warm Wishes Presents: Adventures in Reading -Book Giveaway! 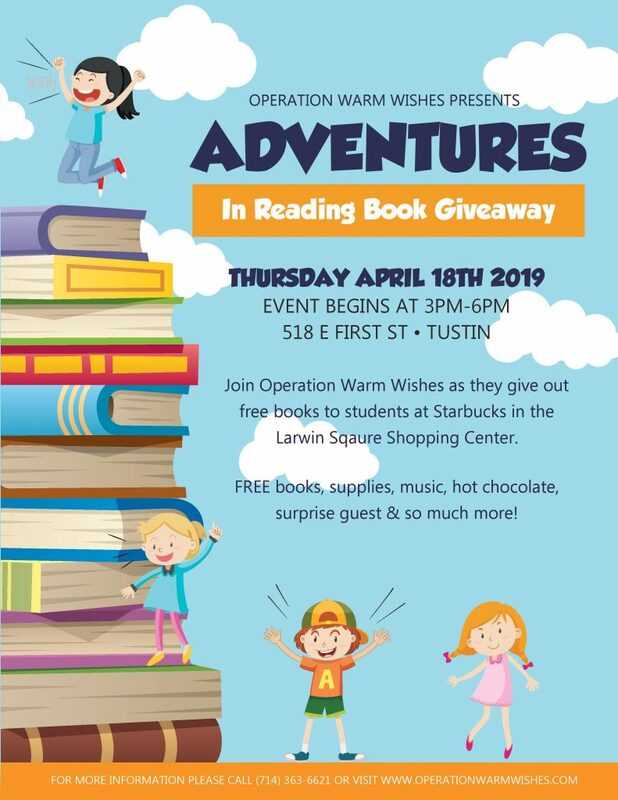 Join Operation Warm Wishes as we give out free books to students at Starbucks in the Larwin Square Shopping Center. Free books,supplies, music, free hot chocolate, surprise guests and so much more!